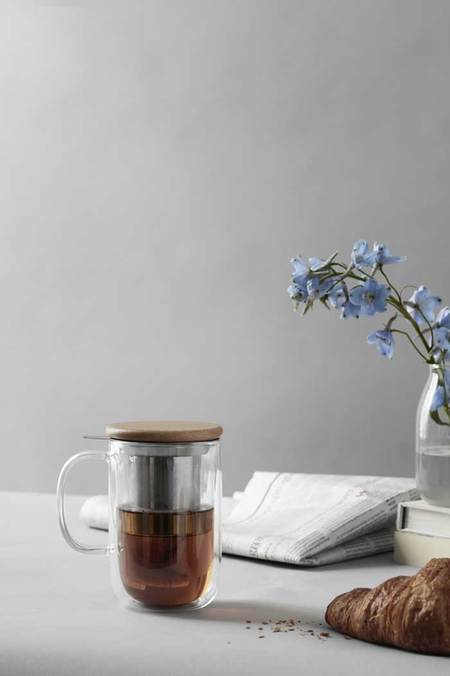 Discover this pretty tea mug (400ml capacity) by Viva Scandinavia. 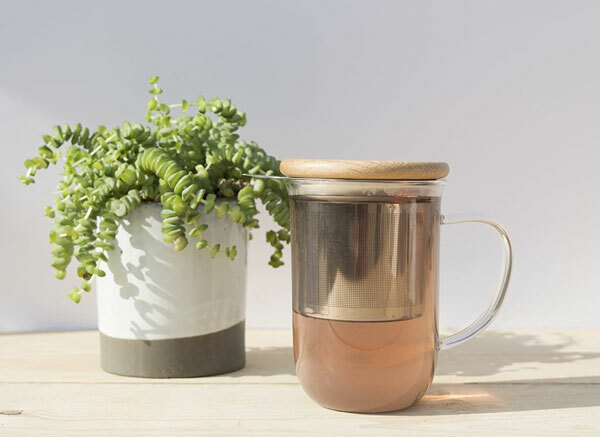 Made of strong borosilicate double wall glass with a wooden lid. 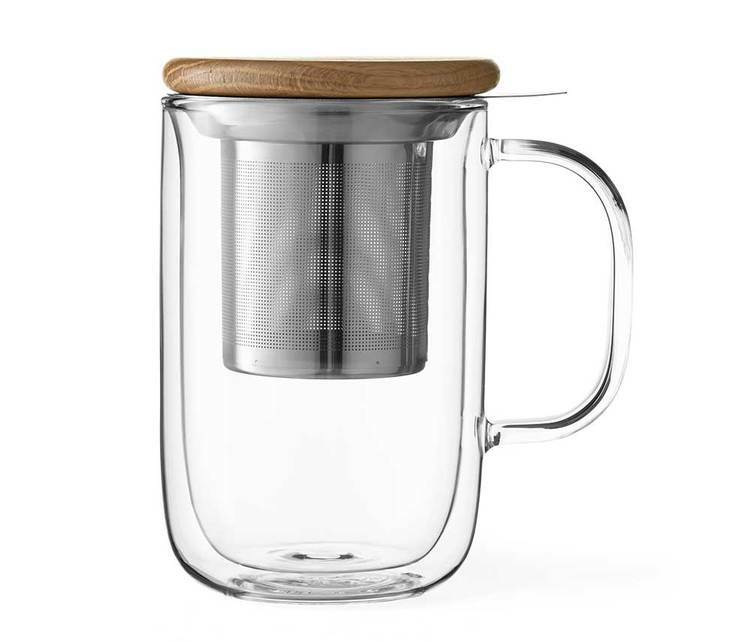 Its stainless steel infuser delivers maximum flavours.